Today, I'm here to write about one of my staples in my everyday routine. Sunblock. I cannot live without it. I have used sunblock ever since I was 20 and had just done my first fractional laser to get very bad post-acne scars off my forehead. My skin was very thin and vulnerable, so I had to apply SPF 90 (yes you saw that right) sunblock on my face (given to me by the aesthetic clinic). Now, at that high a level, sunblock can get very greasy. Whilst I did feel secure about my sun protection, I felt extremely uncomfortable about how I looked. Since then, I have been sourcing for THE perfect sunblock for my skin, and I think I've very well found it. I first saw the review of this sunblock on Beautyfool's blog, and she made it sound so beautiful that I just had to purchase it; and she is not wrong. This sunblock is heavenly. Invisible protection for the face designed for life and beauty in the city, which gives a natural-looking healthy glow. Incredibly fine texture. Triple anti-UV, antioxidant and anti-pollution protection. 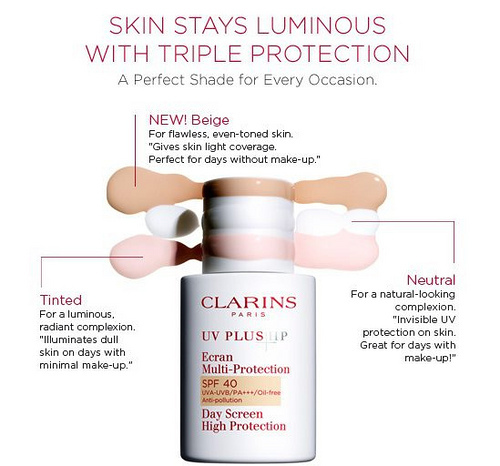 UV Plus HP forms a protective film which leaves the complexion smooth and velvety, while enhancing its radiance thanks to a subtle pink-tinted texture. 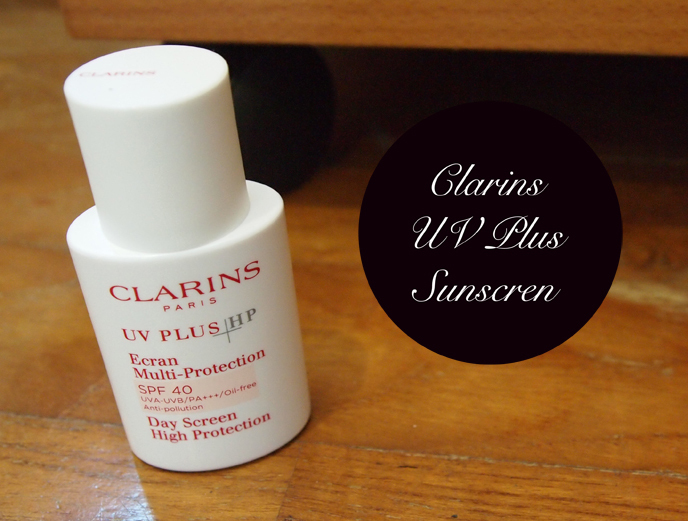 It protects against UVA-UVB, dark spots and darkening of the complexion. 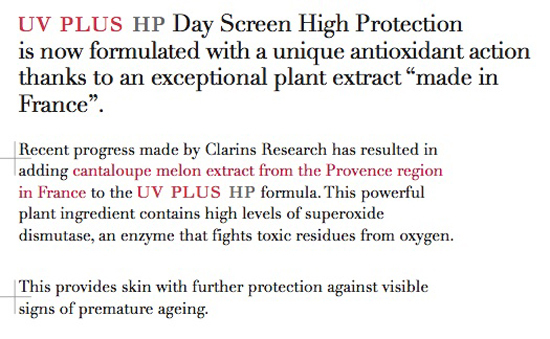 It also delivers very high anti-pollution and antioxidant protection which protects skin against premature ageing. 100% mineral screen. Extract of melon from Provence obtained by organic farming: antioxidant. Extracts of white tea and succory dock-cress: protection against the harmful effects of today's pollution. I like how the bottle is white and opaque, because to me it really matters how easy it is to store my products. Some which are glass bottles obviously require more care, and I like how this bottle is so light and portable. It makes it easy to bring on trips or just when I need extra protection outdoors. It is a twist cap which makes it convenient to open - locks securely and yet opens up with ease. Perhaps what you need to be careful about is how dirty the tip can be; for myself, I lightly clean off the excess sunblock after usage so the tip isn't marred with sticky residue. I bought the Clarins UV Plus HP in Tinted. There are three shades as you can see above. I did try out all the shades before, but I've always somehow stuck with the Tinted one in the full-size. When the Beige one came out, I loved it because of the coverage it offered; but as time went on I preferred to have a little more of a natural look. I would've gone with the Neutral but I thought that sometimes, I could do with a little pick-me-up that Tinted offered. 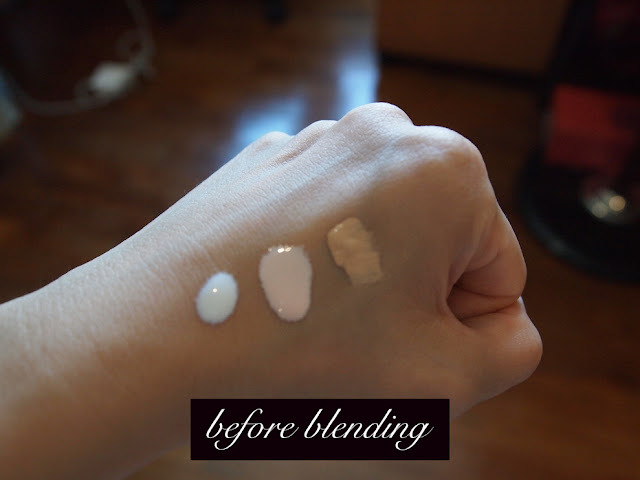 As you can see, Tinted isn't really tinted with a strong color per se. That would be the Beige one. 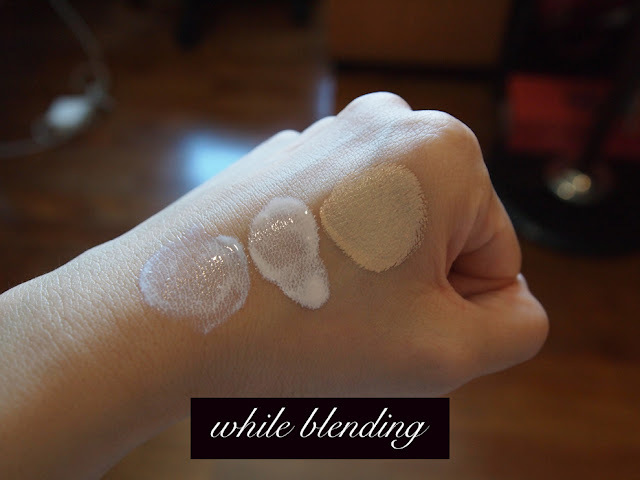 Tinted focuses on bringing a radiance to the face and is slightly pink-based. Neutral, as above, is really more transparent. The bright side is that there is no dreaded white cast to it. Fragrance wise, there is nothing too strong though it is floral scented. What I appreciate most is that there isn't a typical sunblock smell, which actually really turns me off. I have sensitive skin, but the additional fragrance hasn't done harm to me in any way. This sunblock is so different from many others because of it's texture. It's actually rather watery and blends into the skin effortlessly. The effect is a mix between matt and dewy- meaning to say that the finish is nothing greasy and yet there is a soft glow to it. 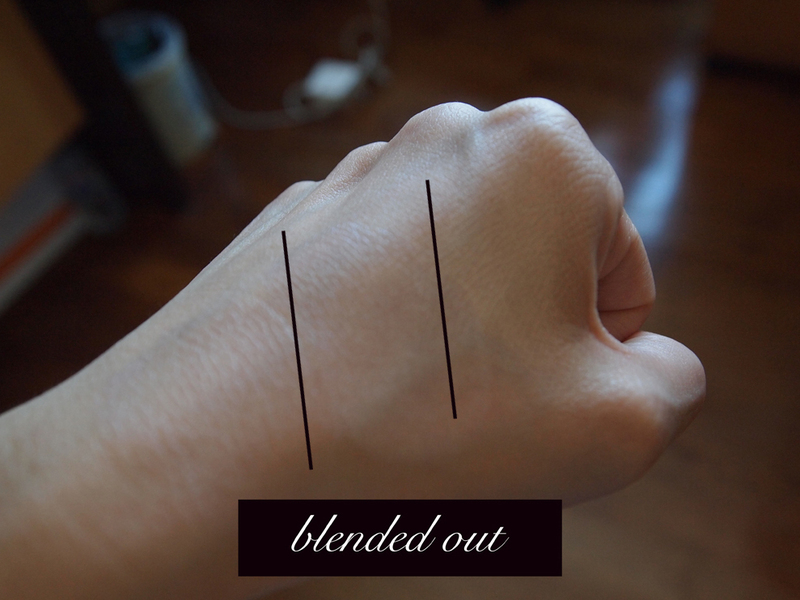 However, just a heads up - the beige one, as seen above, can be a little thicker in texture than the other two. I would attribute that to the coverage it offers, but it also blends as well as the others. Over the day, I do think that the sunblock reacts to your skin depending on your type: If you've got dry-normal skin the sunblock stays quite well, but if you have oily skin, it can definitely slip off a bit. It doesn't oxidise or turn darker, but your face in general will just not look as radiant as it did with the sunblock on. You can counter this with some loose powder on top. How I apply this on my skin is through these 2 methods. Method 1 - spread it out on my palms and pat it into my skin for days I am rushing. Method 2 - dot a bit of sunblock onto 3 of my fingers on my left hand, and then I meet those 3 to the other 3 on my right hand. Then I dot the product onto my face to my neck like I would when I play the piano (patting the fingers in alternately) on different parts of my face for even coverage. I normally find this coverage enough for myself because I just cover my blemishes with Dr Hauschka's Cover Stick, and then I buff some of Guerlain's Meteor Perles Powder all over my skin for an extra illuminating effect. I do not really like using BB creams because I find them too sticky and I do not often use foundations besides on special occasions. This does the trick for my everyday makeup routine! this is taken with only the sunblock on, and some eye concealer/liner, nothing else. 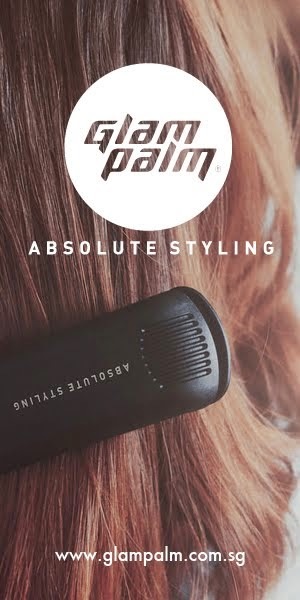 I have been using this since 2010, so it really isn't a new product. I have gotten feedback on reviewing newer products, but I thought I'd go through some of my staples first. After all, there must be a reason they're my staples right? They are that good! I think most of what I feel about this product can be seen above, but I will repeat just how lovely this sunblock is. It eradicates any need of mine to try other BB creams and sunblocks altogether (though of course, I do have itchy hands and I make itchy purchases sometimes). To this, I have an analogy. There's once where Pierce Brosnan's wife was asked how she felt about seeing him on screen kissing so many beautiful women and whether she felt insecure about it. She replied, "He may be at work with other women, but at night he comes home to me." My beloved sunblock, you are Pierce Brosnan's wife to me. remember to take care of your skin! I would say this differs from the shiseido sunblock in terms of color and texture! But I will be doing a full review on it later and you can compare? :) It should be up this week! Thanks! Im a fan of your beauty blog :) keep up the hard work! Really love reading the posts made by you girls. Yes this sunblock is pretty amazing. It took me almost a year to finish the full bottle, and yes (hehe) I did take some samples to last me over a period I couldn't afford to purchase another bottle! not a problem! I have one more sunblock to recommend though this is my favorite! You should definitely try it out! It's like the perfect sunscreen! If you feel uncertain, always ask for a sample, they're very willing to give! Can I ask where did you go to do your fractional laser? What were the after effects? I did mine at TCS Clinic @ Central (Clarke Quay!) It was about $500 per session. Though that was 2010 and I'm not sure about inflation and all. The first time I did it the effects were beautiful. 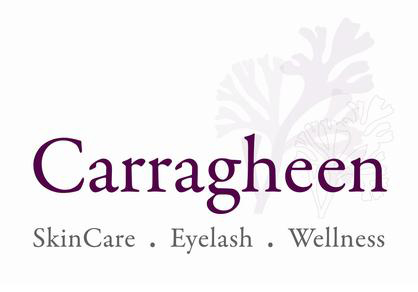 Small pores, smooth skin, less scarring. The 2nd time was disastrous. My skin had rashes every few minutes, it was hyper sensitive, and always red. the name of the store is called Beauty Language :) Sorry it took us awhile to note that down. Just approach any counter for Clarins and request for a few samples. They're usually more than willing to help!